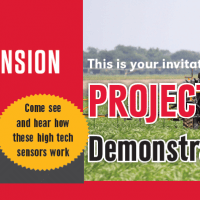 A Project SENSE Demonstration Day on Thursday, June 30 is planned in Edgar. The demo day will show growers how to outfit and implement the project’s Nitrogen management strategy on their operations. Project SENSE (Sensors for Efficient Nitrogen Use and Stewardship of the Environment) focuses on improving the efficiency of nitrogen fertilizer use. Strategies which direct crop nitrogen status at early growth stages are a promising way to improve nitrogen fertilizer efficiency and improve groundwater nitrate levels. Growers will see a live demonstration of the project’s high clearance nitrogen applicator outfitted with active crop canopy sensors and will see the high tech sensors in action. Attendees will learn how producers are conducting research trials on their own fields in partnership with the Project SENSE team. 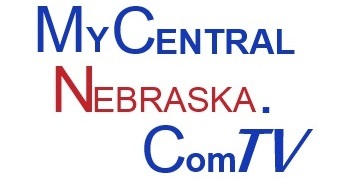 Project SENSE is a collaborative effort between the University of Nebraska-Lincoln, the Nebraska Corn Board, five Natural Resources Districts (Central Platte, Little Blue, Lower Loup, Lower Platte North, and Upper Big Blue) in Nebraska, and producers participating in the Nebraska On-Farm Research Network. The demo day will take place from 11:00 a.m. – 1:00 p.m. at the Edgar Community Building, 601 5th Street, Edgar, NE. A free noon lunch will be served. Please preregister 2 days in advance for meal planning purposes. To preregister, call 402-624-8000 or e-mail christina.franklin@unl.edu. Download the brochure at: http://ardc.unl.edu/2016ProjectSenseDemoDay-Edgar.pdf.